Whether it’s because Mr. Dry Services oversaw the clean-up of your home following a fire or water damage issue, or you’re just a homeowner with the vision and desire to remodel your kitchen, Mike Brigandi and his team of experts at Mr. Dry Services are ready to assist you. The experts at Mr. Dry Services have been serving SWFL since 1999. They understand that the cleanup is just the first phase of restoring your normal life. 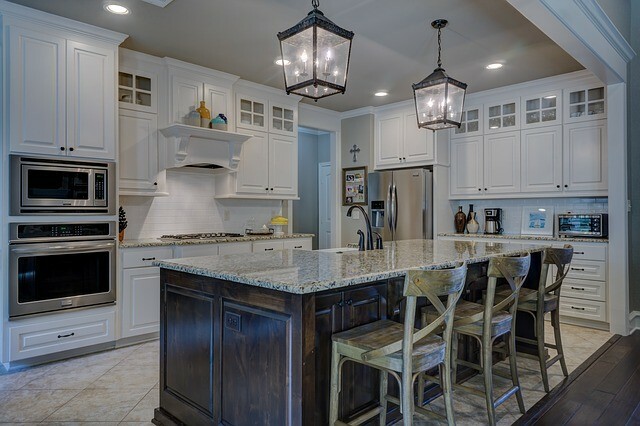 Even if you haven’t experienced a disaster that requires your kitchen to be remodeled, why not trust your remodeling project to professionals who have “picked up the pieces” of so many homeowner’s lives and not just restored their kitchens but created a better kitchen experience. What to Consider When Remodeling your Kitchen? Maximize Your Space – When remodeling your kitchen, it’s important to remember the primary function. Regardless of the space available or the shape of your kitchen, it’s important to create a floor plan that makes cooking easy, fun an efficient. We can help you use every available inch of your kitchen. We can also help you determine ways to enlarge your kitchen. There are other ways to gain space such as installing taller overhead cabinets, corner cabinets, and custom built in storage racks. In the event you have had a fire or major damage, the need to remove damaged walls, beams, etc.., could open an endless number of possibilities you may not have considered before. Focus on a Great Workflow – We know you want your new kitchen to wow your guests, and when you work with the experts at Mr. Dry Services you can be assured it will. On a more practical note, we’ll work with you to determine how to lay out your new kitchen. Determining where to place your refrigerator, sinks and other appliances to create a natural flow to reduce prep time and improve cooking efficiency. Considering things such as, how many electrical outlets should I have? Where should they be placed? Who’s going to be doing most of the cooking and how many people will need to move throughout the area? We can help you make these decisions and so much more! Mr. Dry Services can handle your kitchen remodeling project from start to finish and take care of both your cleanup and restoration needs as well as your post disaster construction needs if applicable. Whether it’s a remodeling project following a disaster or you’re just ready to re-invent your kitchen, you can trust that owner Mike Brigandi can provide the expertise for both. 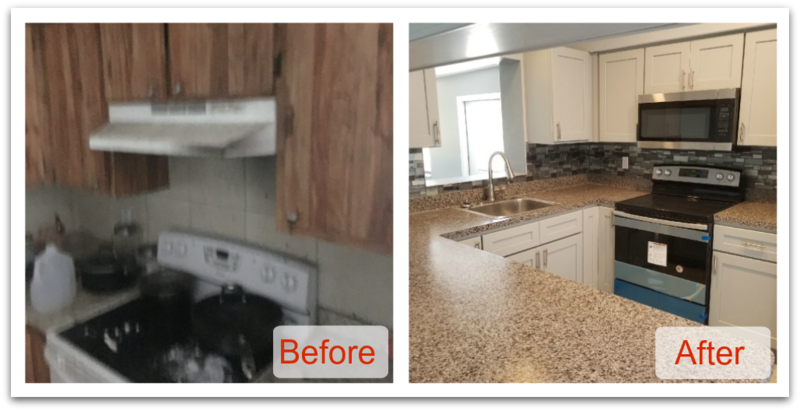 Big Mike and his team of experts will insure that your home or business will be transformed to its original state or better following a disaster or create a totally new and efficient look to your kitchen remodeling project. Remodeling for any reason can be disruptive to your lives and we strive to get you back to normal as soon as possible. We’ll help you design a kitchen that you will be proud of and that will serve you for decades. As a family owned and operated business, owner Mike Brigandi wants to help you in every phase of your kitchen remodeling project. Our trained and licensed staff are leaders in the industry in remodeling projects including kitchens, bathrooms and whole house restorations and renovations. You don’t need to have had a disaster to appreciate the experience and skill that “Big Mike” and his team bring to any job. If you find yourself in need of a fire & smoke damage restoration company, please choose Mr. Dry Services, a trusted family owned business in your community with over 30 years’ experience. And for all your kitchen remodeling needs, look no further than Mr. Dry Services to handle all your remodeling and repair needs.